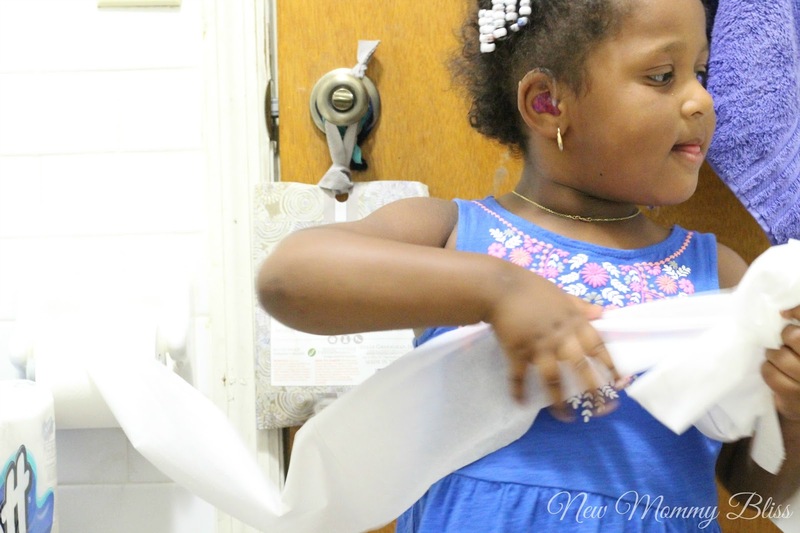 I'm not afraid to admit that I am a pooper... My child is too! We always look for a Toilet Paper brand that can stand up to the challenge and SCOTT® 1100 Bath Tissue is it! Not only does it clean up well, but it last longer thanks to its extra 100 Sheets! That's like 3 Extra Rolls!!! But what if your toddler is beyond toilet paper cleanup? I've included these quick and easy Tips for bathing your toddler in the same tub as the grownups. 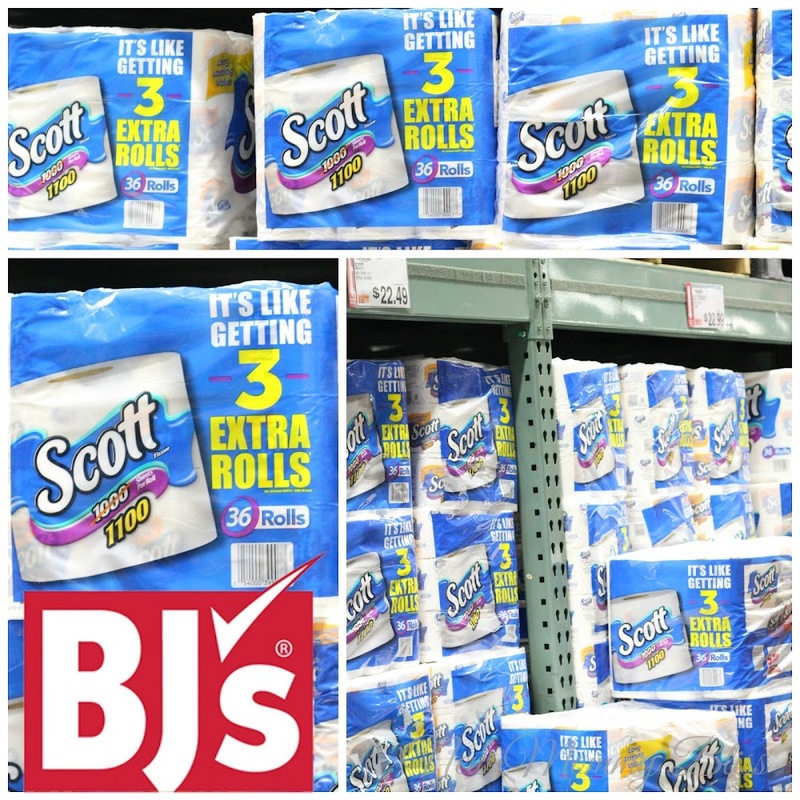 Let me backtrack a little and talk about SCOTT® 1100 Bath Tissue from BJ's Wholesale Club. Did you know that it is labeled the ‘Longest roll in America’? Not only am I saving money when I combine the store's deals and Manufacturer coupons (it's only $23.32! ), but I'm getting 100 more sheets of my favorite long-lasting toilet paper with all the value I'd only expect from a brand like SCOTT®. Even my Kid is glad because that's more bath tissue for her to unroll! Every Roll is made with septic-safe toilet paper. You'd be happy to know that SCOTT® Bath Tissue rolls have never reduced sheet count and have been bringing consistent quality sheets for over 100 years! Getting back to the little ones, We all know how much Bacteria can be in 1 tub especially when you have over 4 people in the household. Baby and toddler skin is so incredibly sensitive that any little germ or bacteria can cause a UTI, MRSA, and plenty other things. It's important to let you know what products need to be in your bathroom specifically for your child. Kids get in the tub and automatically sit, then ask for a bubble bath so it's important to prepare the tub before telling the kiddies to get in. Tip 1: Head Out and buy your kid a bathmat just for them. You'll have a piece of mind knowing that no one else's feet have stepped on it and depending on the one you get, you can peel it off and stick it to the wall. Tip 3: Grab your tub cleaner and scrub that tub! That way you'll be sure to remove any gunk or dirt left behind from the previous bather. Rinse Throughly with cold water since germs and bacteria don't like the cold. After you've done this, it is safe to put your child's in with mat and all. SCOTT®1000 Bath Tissue will always provide honest, practical value with persistent performance sheet after sheet. Make the smart choice for your family & choose a quality brand that brings your family consistent value that lasts! Great tips! We only have one full bathroom too, so I'll definitely keep these in mind! Great tips!! I remember my son being a huge bath hog as a toddler. He loved bath time. We have one bathroom too. I find it so much easier when I keep all their bath toys in one spot as well. These are some great tips! We grew up in a one bathroom house hold and bath time was always so much fun! Great post! You have got this down! Love your tips and will share with my mommy friends! 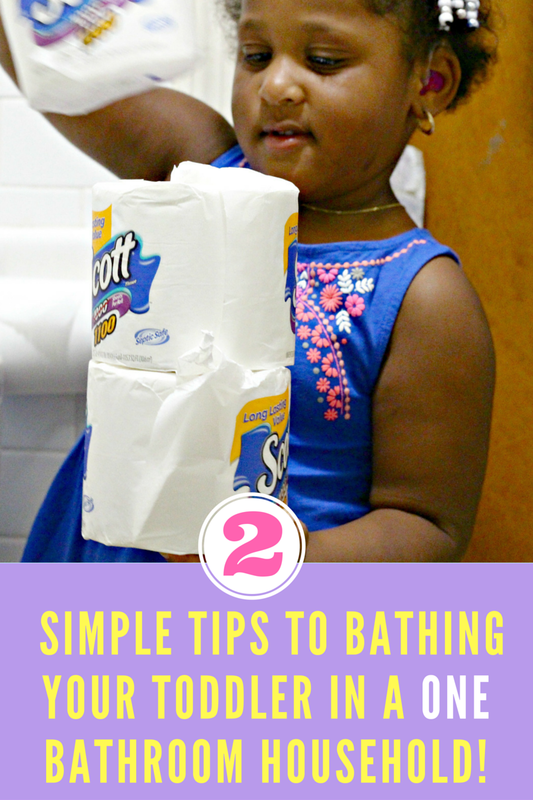 I have 4 bathrooms and these tips are good for me, too! I remember the days of having one bathroom and there was just the two of us! Those are some great tips and let me tell you, I love some savings! aren't toddlers a whole lot of fun? But they can get very messy too, great tips. These are great tips! Bathroom time can always be hit or miss for us. Kids make even the simplest things a bit more difficult. 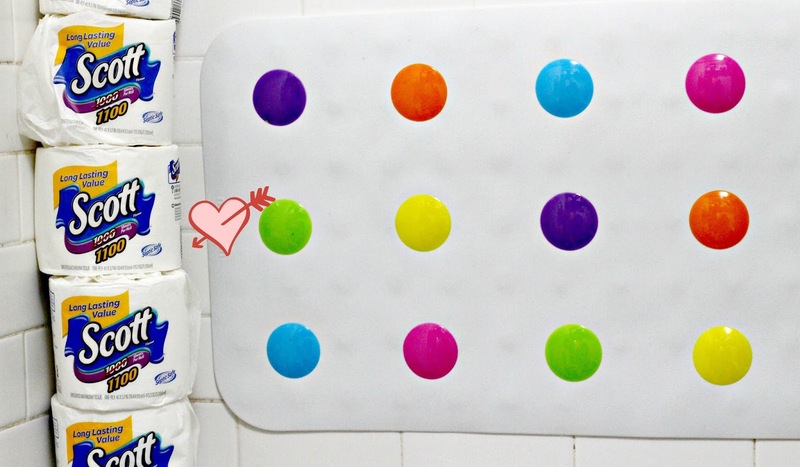 Oh we have that bath mat, I would never have thought to stick it to the wall - what great idea!! I dread bath time with my son! Water gets all over the place and I end up changing my clothes afterwards. Great tips. I think these tips are awesome. You can never be too safe when it comes to bathing the kids. I make sure that I clean the bathroom thoroughly as well. I love the idea of finding a bath mat just for her! I really need to do that for my toddler! These are some great tips I have never thought of before! 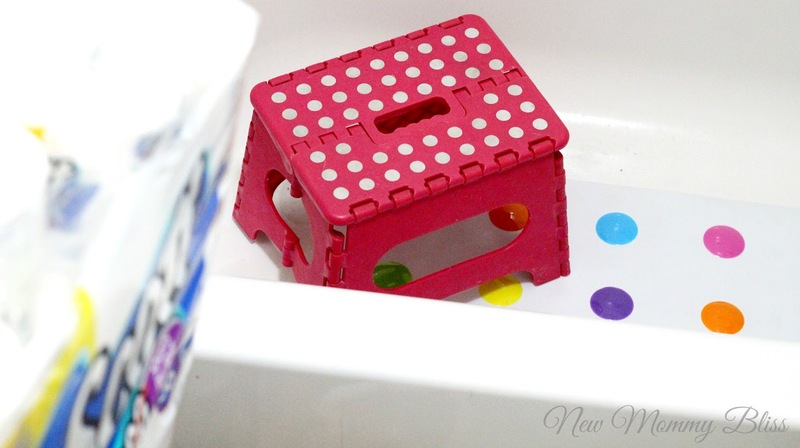 I love the idea of having a personal bath mat and the step stool seems like a great solution as well. Nothing wrong with being a pooper we all do it! This is a great brand and good value for its money. We have 1 bathroom in our condo and man it was so hard when the kids were little and now that they are 5 & 7, sometimes it still is! These are great tips! All great tips. This is perfect for first time moms. I really like the idea of the mat so that you know that they are sitting on a surface that only they have touched to get clean. A one bathroom home can be rough.